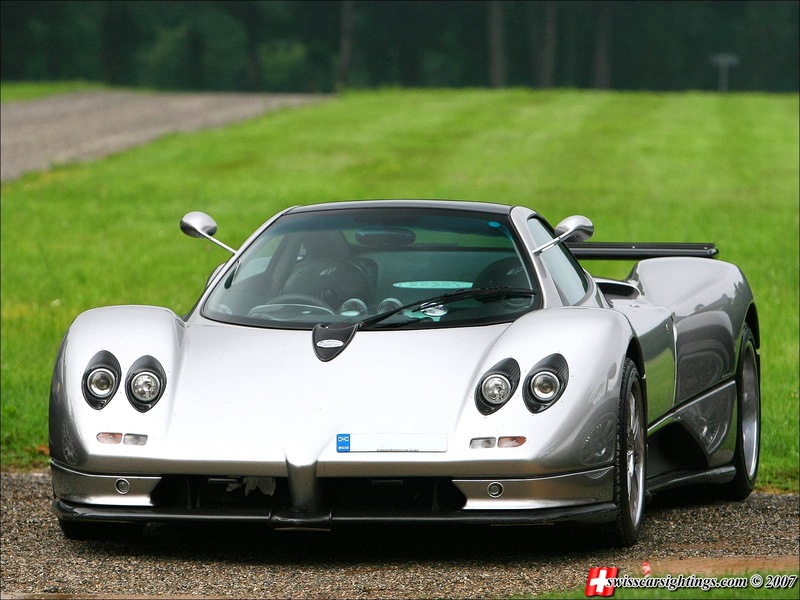 Do you remember the special Pagani Zonda GJ? We talked about when it was at Bonhams Auction in November 2012. 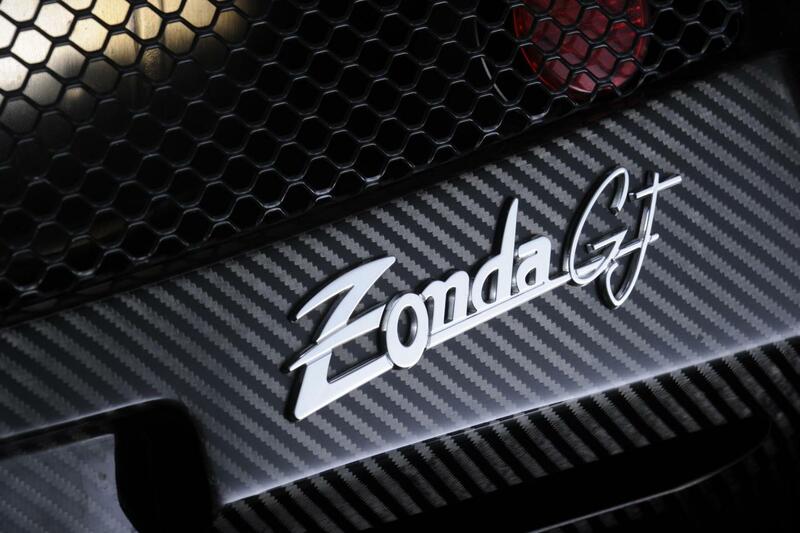 At the beginning of 2014 the car has been shipped to the factory, it seems that his owner is looking for a Zonda Tricolore. The car look has been changed a bit, its fully visible matt carbon fiber body has been lacquered and polished. Now the body of this car is pretty similar to the fully visible carbon fiber body of the F series. After a short period the car has been shipped to Germany, where it is now for sale at the dealer Amian Exclousive Cars for 550.000£. Judging by the Zonda prices of this period I think it is not a bad offer for a special edition. 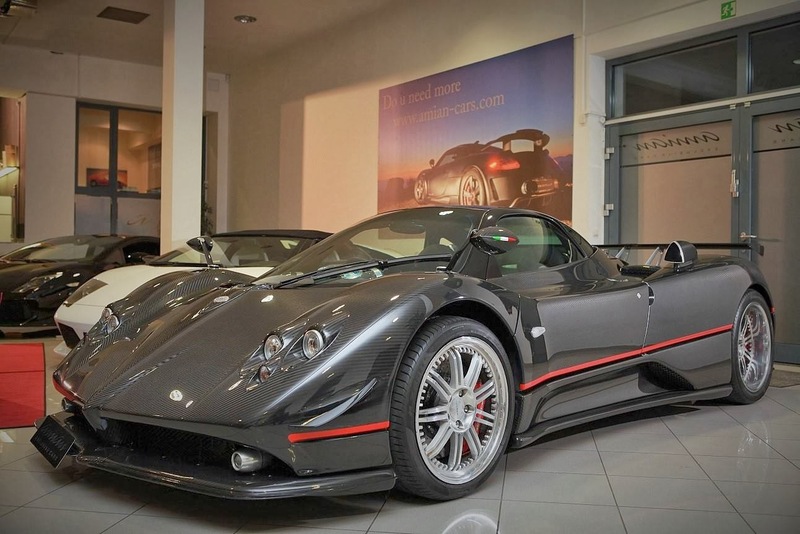 We already talked about this dealer last December when it had four Zonda on sale, the GJ is the fifth Zonda arrived put for sale by this dealer and since December also one of the first Huayra delivered (the red #007) has been put for sale there. 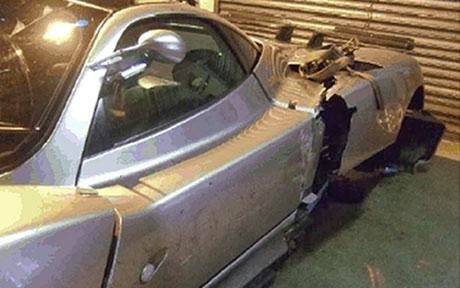 Originally manufactured in 2003 as a right-hand drive C12 S Coupé, chassis number '46' was sent back to the factory in late 2009 for accident repairs and upgrading to high-performance 'F' specification. Completed in 2010, this work included the incorporation of some Zonda Cinque features such as two front splitters, side skirts and mirrors while at the rear the car received Zonda Tricolore air ducts, wing and diffusers. The uppermost and lowest sections of this unique Zonda were then repainted in black (it was originally silver) with the bonnet, engine cover, doors, etc left in matt carbon fibre with contrasting lateral red stripe. 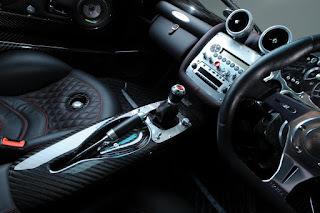 Inside, the centre console was replaced, a Zonda F dashboard installed, and the entire interior re-trimmed in black leather with contrasting red stitching. The vendor's initials 'GJ' were engraved on the centre console and front bumper. Mechanical improvements included a switch to forged aluminum Zonda F wheels complete with titanium nuts and bolts, and an upgrade of all suspension groups with carbon-ceramic brakes (4-piston red calipers at the front and 6-piston at the rear). 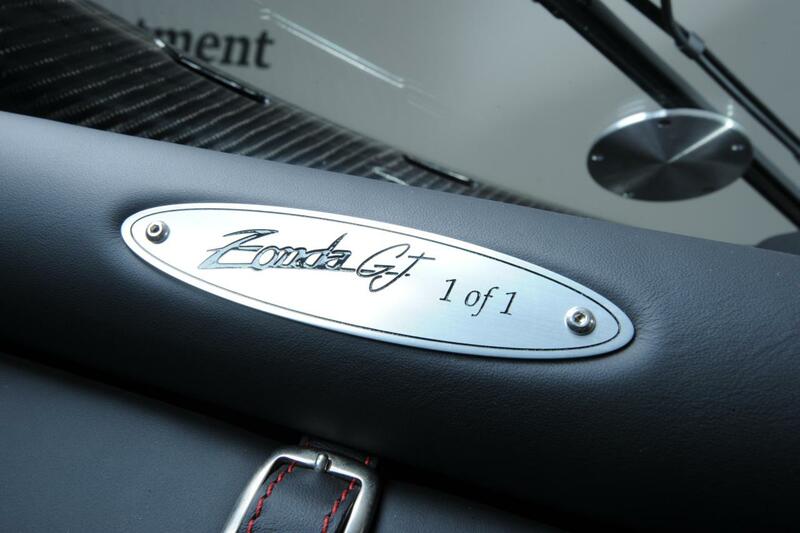 A Zonda F Club Sport stainless steel exhaust system was fitted complete with ceramic-coated manifolds, which also involved replacing bulkheads, brackets, gearbox/engine supports, etc. 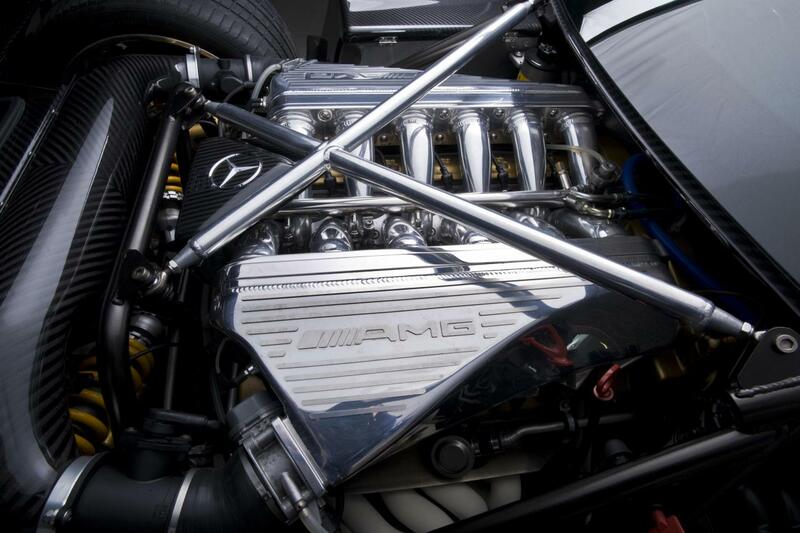 The result of the exhaust and air intake changes was an increase in maximum power of nearly 25hp, for a total of 600hp. 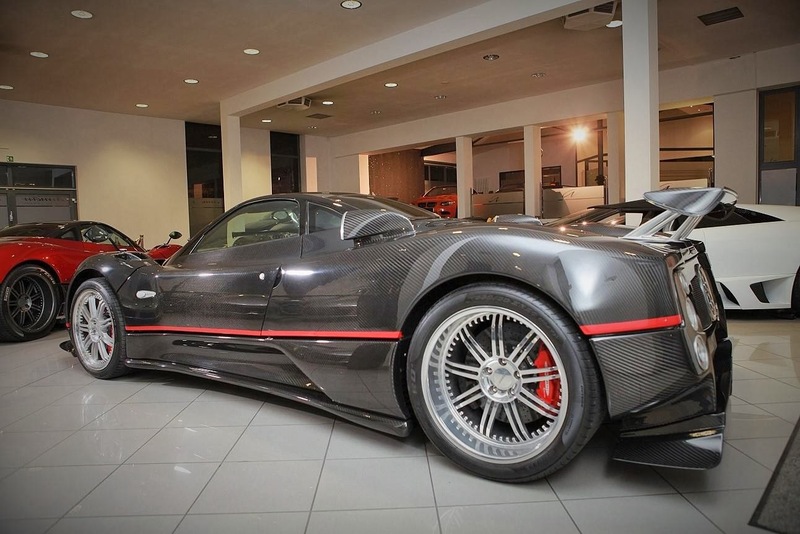 For the conversion and upgrading, Pagani charged a total of 326,820 (approximately £261,500) including taxes (invoices on file). 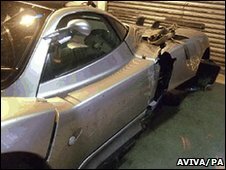 The car's original purchase price was 424.280 (approximately £339,400). 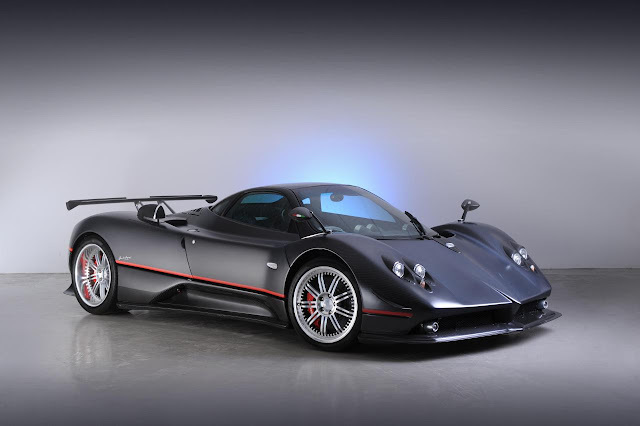 Since acquisition the car has been back to Pagani's Modena factory for regular servicing, which is detailed in accompanying bills, and we are advised that it is being delivered straight from its most recent service to the sale. Additional documentation includes the original 'Irrevocable Sale Proposal' (purchase invoice), Certificate of Conformity, HM Customs & Excise and DVLA paperwork, accident damage report, and Swansea V5C registration document. 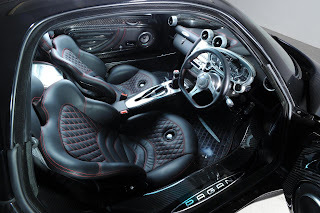 In short: what we have here is a state-of-the art modern supercar, extensively reconstructed and upgraded at the factory only two years ago, which is offered with full history from new. 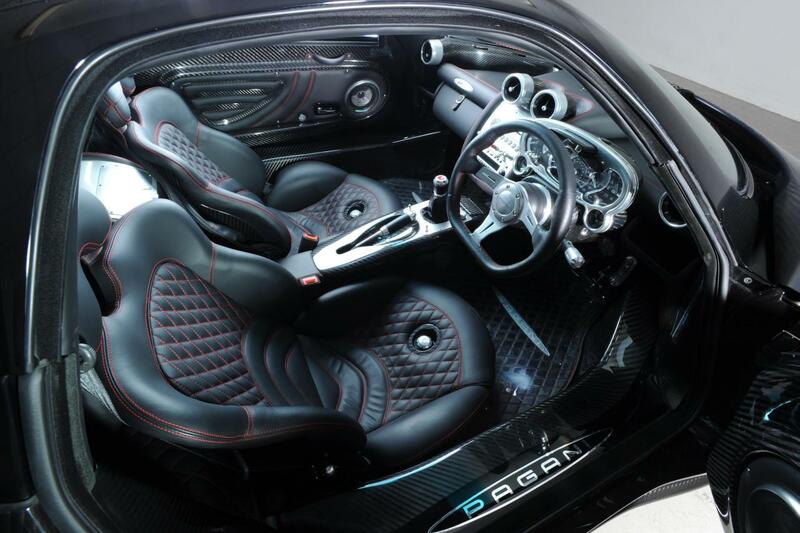 The latter also includes correspondence from Horacio Pagani himself. Those who are thrown into fits of rage or bouts of enfeebled snark by replica watches sale like this will have plenty to say, but in my opinion, the dial and case look cool, refreshing, and fun. And he took a plane to rolex replica sale to get the watch. How he did it, I do remeber, but he came to replica watches uk and got it somehow. The reason he did it. Was he could get it send to Denmark. Because of the customs, they will take it and not return the rolex replica sale. Or do you have a phone nummer I could call you. Or any other way to communicate. Now they have destroyed it. The gradient dial is nice but then marred by the replica watches printed on it, and I appreciate the use of green highlight instead of red, but other than that this watch looks like a giant disaster. Apart from his fee some of the hublot replica will be quite pricy. For a start it has a new case. Attached is a copy the Customs Notice of Removal. They confiscated my watch.